Like all capitalist ventures, the Tour of America will need money to make money and that will very likely begin with one or more investors – the kind better known as “angels”. Our business model is strong – it is a plan that will deliver a healthy return on investment over time, but we are seeking a slightly different type of investor than the average unicorn. We want someone who is interested in not just a financial return on their investment, but a social one too. We recognize this criterion immediately narrows the field to a small set of angel investors, most of whom have achieved their financial goals; they’ve made all the money they could ever want or need and are now looking to leave a legacy. We call them our Legacy Angels – we know they are out there and the Tour of America is a chance for them to make a mark that transcends their considerable financial success. For Legacy Angels, the Tour of America will serve as a platform to express their core beliefs and deliver a positive global impact by helping us deliver on our mission: to solve the world biggest problem by engaging in the world’s most universal activity using the world’s greatest example. For those investors who agree with us that gender inequality is the world’s greatest problem, they will have an emotional stake in our success that is equal to or greater than their financial stake, and we will deliver a return on both of those investments. 1. 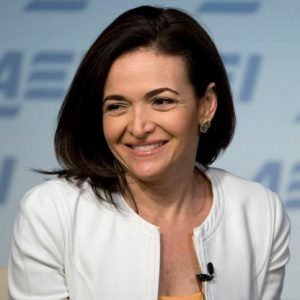 Sheryl Sandberg – Like a cyclist battling a tough head wind, progress comes when you lean in, and Ms. Sandberg has built a social movement around exactly that: the imperative of women asserting their value in the workplace to achieve the positions of influence they deserve. It has been five years since Lean In, the movement, officially launched, and now may be a perfect time for an accounting of progress, a proper integration of the #MeToo Movement, and a refresh built upon a communications platform like the Tour of America. We are united in our effort to solve the world’s biggest problem and no person is better suited – financially and personally – than Sheryl Sandberg to bring both the TOA and Lean In to the next level of global awareness and accomplishment. 2. Sara Blakely – The billionaire founder of Spanx has always put a high value on women’s empowerment with an emphasis on education. And she doesn’t just talk about it – her foundation has given tens of millions of dollars to women’s entrepreneurial and education organizations, including one headed up by a hero of ours, the Malala Fund. But what does this have to do with a bike race? We know that education is the path to empowerment and we’ve sketched out a way in which our athletes and the race itself could be used to promote the STEM education fields through partnerships with local education-focused non-profits. If Sara Blakely were to come on board as an investor, we would tie in a selection of her future and existing beneficiaries for an ultimate win-win that will directly expand their reach and impact. 3. Marissa Mayer – According to a recent profile of this former Yahoo CEO in the New York Times, Marissa Mayer is planning her next act, she just won’t say what it is. We have some idea: she has started a new company called Lumi Labs, no doubt with a goal to create the next great tech “thing” in the area of consumer media and artificial intelligence. Why not launch that next great thing into the world via a partnership with the Tour of America? We will be well-positioned to deliver a lot of new consumers, but more importantly, Ms. Mayer, we can serve as your unforgettable analog legacy to go with your well-known digital one, thereby leveraging your very non-artificial intelligence. 4. Beth Comstock – The diversity of Ms. Comstock’s career, much of it with GE, encompasses a series of triumphantly broken glass ceilings and skillsets that we would love to take advantage of. She has a book coming out this fall entitled Imagine it Forward, in which she will highlight “the newly emerging world . . .where the only constant is change, where experimentation and imagination become essential business capabilities.” The book will emphasize the importance of adapting to a changing world and approaching it with a high tolerance for ambiguity. We know that any good investment balances prudence with tolerance, but a strong mission and values are enduring and, at its best, the driving force behind the changing world she is talking about. There is still a lot of positive change for us to make, so Ms. Comstock, come imagine and experiment with us! 5. 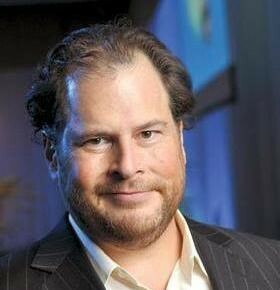 Marc Benioff – You thought this list was just going to be women, didn’t you? Well, we believe in diversity, but not just for the sake of it. Marc Benioff has set himself and his company (Salesforce.com) apart from the rest of the tech world by doing more than just talk about things like gender pay equality. He has held his own feet to the fire, repeatedly and sustainably – that is to say, he’s not going to give up pursuing this goal until he achieves it. But to that we would say: you can’t do it alone. Any company can demand strong, talented and dynamic women leaders and engineers, but in order to get them, they also need a supply. Mr. Benioff, while you work on the demand side, we can help you with the supply. We will do that by putting great women leaders up on a podium (literally) for all to see, thereby inspiring a new generation of empowered and innovative women around the world to fill the pipeline of talent. And, oh yeah, we want them to be paid the same as the men in the Tour de France. 6. 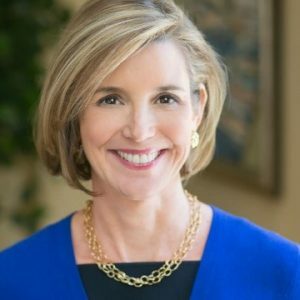 Sallie Krawcheck – She’s the Chair of the Ellevate Network, “a global organization of professional women committed to elevating each other through education, inspiration, and opportunity”. Ms. Krawcheck is already in legacy mode thanks to a stunningly successful career in the financial industry, so we think the timing may be just right. It certainly is for us: her startup expertise alone will keep us on the right path and drive investors and sponsors our way. And the Ellevate Mission speaks to us: “. . . to help women advance in the workplace, both for themselves and the greater good. We strive to change the culture of business from the inside out – by investing in women.” We are all about the greater good – the part of the mission that transcends business, and a great reason to help us elevate the Tour of America. 7. 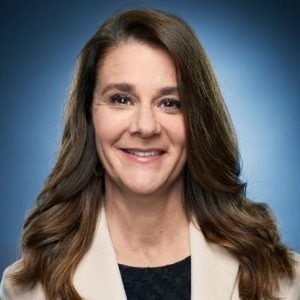 Melinda Gates – The Bill and Melinda Gates foundation is an inspiration in mindful legacy building, and we’re not just saying that because we want some of their money. They have managed to translate so much of their wealth into a positive impact upon humanity by applying the same urgency and accountability that served them so well at Microsoft. They now hold the enviable position of having a big picture of the world’s biggest problems, and that will allow us to make our case that gender inequality is #1. We all know that all the money in the world can’t solve every problem in the world – it takes a fully empowered human population to attack the ones they’re not going to get to. But the irony is that demanding gender inequality is a far less costly endeavor than delivering food, water, healthcare and education. Ours is, instead, about the messaging to drive a vast wave of social change that will ultimately lead to more Bill’s and Melinda’s in our future – the young people, and especially women, who will finish their amazing work in the decades to come. 8. Mika Brzezinski – Speaking of messaging, the impact of the Tour of America will be a function of nationwide visibility and interest. 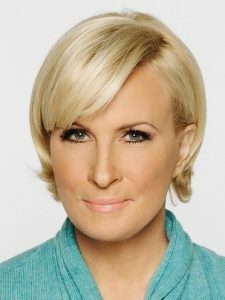 As the female half of the highly-watched Morning Joe, and an activist focused on the “Know Your Value” imperative for all women, Mika Brzezinski would serve as an influential advocate and cultivator of support for the creation of a women’s counterpart to the Tour de France. The Tour of America will celebrate women every year as it raises awareness, and if we do it right, it will also serve as a celebration of what is best about America. And don’t we all deserve a break from politics – a chance for us all to come together for something other than, say, a national crisis? Along with an exclusive NBC/Comcast broadcast, I see no reason why Joe and Mika couldn’t come on the road with us. These 8 Angels are only a small sampling – there are many more women and men out there that we know are ready to build their legacy. How do they want to be remembered? Definitely not (just) for the money they made, we know that. Equally if not more important is the role we envision our Legacy Angels fulfilling, which will go beyond their financial support. We are seeking their ongoing guidance as board members and their leadership as high profile ambassadors. Gender inequality is such a solvable problem and the Tour of America is a great starting place. So how about it Angels? Here is your new call to action: Give us an hour of your time so we can tell you our story and we will show you how it can be your story too. And then let’s start solving the world’s biggest problem together. Filed Under: What is TOA?